This product fits my phone perfectly and is easy to fit. Despite good reviews this screen film was difficult to apply and is already looking worn around the edges after 2 weeks. I would not recommend this product. Once you get the hang of it, they are easy to apply. Wasted one trying to get it on, so good job it was a double pack! Not quite as wide as the scratched factory fitted one it was replacing, but feels more touch responsive. 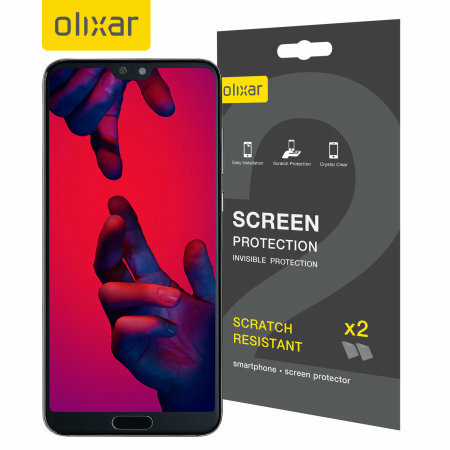 You pretty much get what you pay for, average priced screen protectors at a low cost. Easy to fit and do the job. At the monnet it seems hard to get a more hard tempted glass screen protector for the Huawei P20 pro. Great product but terrible person trying to fit them.